Prof. Carlo Fonseka has been appointed as the President of the Sri Lanka Medical Council (SLMC) for the second time. The appointment was made by Health Minister Dr. Rajitha Senaratne. He was appointed as the President of the SLMC in 2012 during the time of the former Health Minister and current President Maithripala Sirisena. 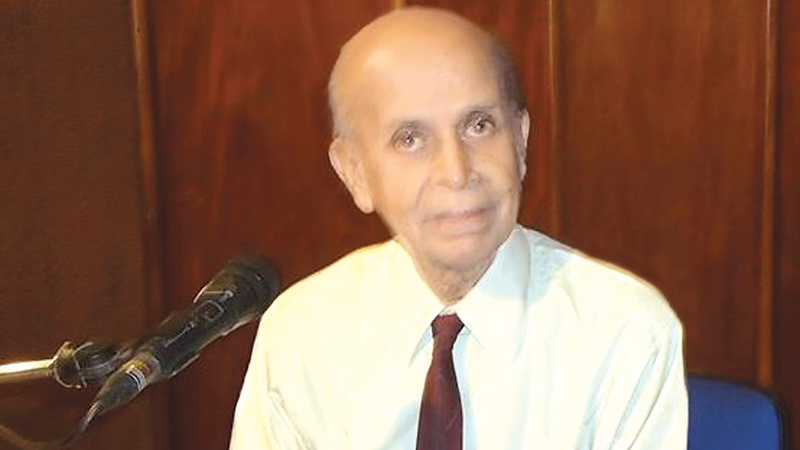 Prof. Fonseka received his MBBS (Ceylon) in 1960 with a first class from the University of Colombo and obtained his postgraduate degree from the University of Edinburgh in 1966. In 1999 Prof. Fonseka was awarded a Master of Arts from the Kelaniya University. He was the first Dean of the Faculty of Medicine at the Kelaniya University. The Sri Lanka Medical Council was established by the Medical (Amendment) Act No. 40 of 1998 when the title was substituted for the Ceylon Medical Council. The Ceylon Medical Council (CMC) was established by the Medical Council Ordinance No. 24 of 1924. The Medical (Amendment) Act No. 30 of 1987 makes provision for the Council to enter and make inquiries at recognized universities and institutions to ascertain whether the courses of study, the degree of proficiency at examinations conducted for conferment of qualifications and staff, equipment and facilities provided at such universities and institutions conform to prescribed standards. If they fail to conform to prescribed standards, the council may recommend to the Minister to withdraw such recognition.The general duty of the Council is to protect the public and uphold the reputation of the profession.